As a working musician and fan I have seen countless musical legends play to rooms that number fewer than 20 audience members. No, this was not in Santa Fe, home of High Mayhem Emerging Arts, but in cities such as New York, Chicago, and San Francisco. If artists in these musical cities with huge populations are unable to fill rooms, how are artists in a city the size of Santa Fe supposed to? It is indeed a challenging dilemma. Since our inception, High Mayhem has attempted to use the Internet as a means to gain broader exposure of our art and curations. In the past we have broadcast live audio of musical performances from both our studio and festivals. We have used our site to sell CD’s and merchandise. In addition, we have utilized services such as CD Baby, Soundcloud, and bandcamp to digitally distribute our recorded music to the broader Internet community. While these are nice resources they are often difficult to sift through to find relevant art and music when there is such an over-representation of canned and contrived music. We realize that much of the most significant music that a musician can create is in front of a live, breathing audience, where experiences are shared and true moments of human connection and understanding can occur. Beginning two years ago, we began to ask ourselves if it was possible to broaden the audience of a musical performance through live audio and video broadcast of live performances. Due to the importance of “the moment” of the art we create, we felt it imperative that our broadcasts be live and not pre-recorded. Being that we are a recording studio and strive to create the best quality of production for both artists and audience alike, we knew that we would not be satisfied if we were not delivering professional audio and video in order to make people truly feel they were connected with the artists’ performance. We proposed the idea to Kindle Project that we would like to develop a system to do live webcasts of events from our studio on the Internet. Kindle Project enthusiastically embraced the idea and funded us to develop said system. At the time of funding, we knew very little about video. We figured, “Hell, we know audio up and down, video is just cameras instead of microphones.” Boy, were we surprised. You see, audio is nice because really there are just a couple formats and types of connections. Everyone records audio in .wav or .aiff and the resolutions and bit rates and pretty standard and easily interchangeable. Cables only number a few types and are generally easy to change with adaptors. This is not the case with video. There are so many formats, standards, file types, resolutions, frame rates, and connections each with their own advantages and disadvantages. In short we were a little over our head. As we continued to research, we found that every system we developed either had inherent flaws, or would prove too costly to afford. We consulted with countless IT and video experts and none of them really had a firm grip on how to do what we were hoping to achieve. Through systematic and sustained effort we were eventually able to design a system that worked for our budget and us. We continued to run into numerous issues of audio sync with video, how to broadcast and host the service, and how to pay for an endeavor whose costs began to exceed allotted funds. We broadcast privately as we tweaked out the system, as we didn’t want to officially broadcast until we knew it was up to our standards. After over a year of trial and error, we officially broadcast our first show with quality video, exceptional audio, and a nice smooth uninterrupted stream. It was amazing! We were elated by the newfound capabilities and means to deliver art across the state, country, and even the world using the Internet. Since we have begun broadcasting our digital audience has continued to grow. Right now we are more than doubling our live audience size through webcasting. We are able to bring live music to friends and supporters in distant lands. It’s an amazing feeling to step off stage and have a friend or relative in far off lands send an immediate text after you walked off the stage complimenting you on your performance. Ironically, the largest digital audience we have gotten so far was on a night of a snowstorm in Santa Fe. We were excited to find that when weather is bad and audiences are generally smaller, that we actually increased our digital audience. We were snowed in at our studio broadcasting incredible music while a large audience was at home in their warm jammies by the fire. We have found a means to broaden our community and audience beyond Santa Fe using live webcasting. Recently, we have been in discussion with SOMA-FM an Internet radio station based out of San Francisco, CA about having them simulcast our shows to their well-established audience. Other organizations such as the Santa Fe University of Art and Design and OTR Studios run by Cookie Marenco have watched our webcasts and been amazed at the way we have expanded our audience. We are currently serving as consultants to these organizations as they work towards designing their own webcasting systems. We very much see this as the future of live performance and are excited at the opportunity we have developed to share our art worldwide and in real time. Thanks Kindle Project for your support! You help sparks of imagination reach fruition. Live streams and schedules can be found at www.highmayhem.org/livestream. And while you are there, don’t hesitate to click on the donate button to help us help bring you some great art! 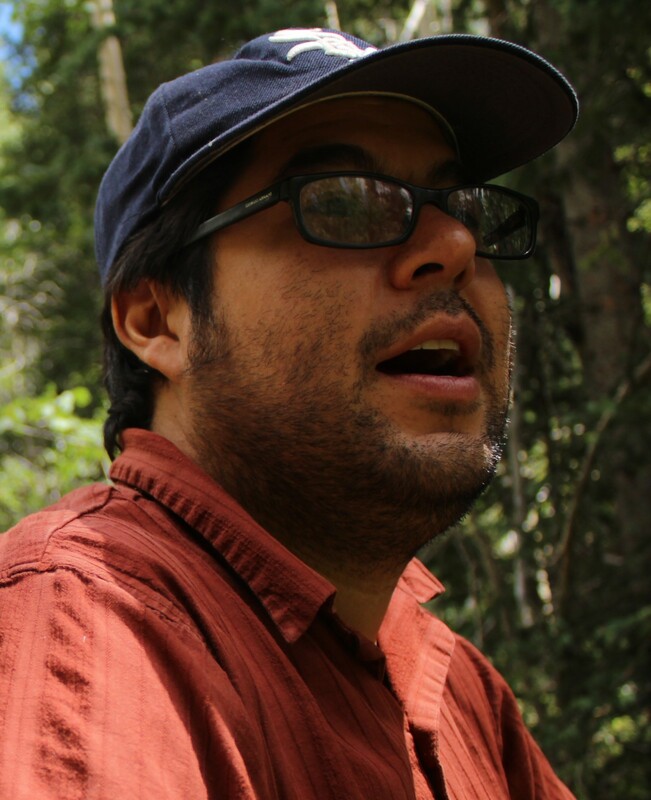 Carlos Santistevan is the Director/co-founder and audio engineer at High Mayhem Emerging Arts. For the past 20 years he has presented countless artistic events to the New Mexico arts communities. His philosophies of art have been equally influenced by both the punk rock Do-It-Yourself approach and the improvisational jazz aesthetic. He has served as a bassist for some of NM’s most important creative music ensembles including The Late Severa Wires, iNK oN pAPER, Out of Context, A. Barnhouse and Taiji Pole. As an educator he has taught classes, workshops, and lecture demonstrations to a broad range to artists and students. Find the inner beauty that is inside you and share it as art with the world.